Brakes have changed so much from the invention of the automobile. 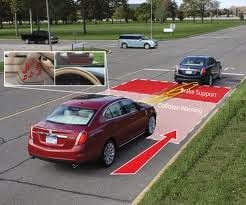 As time has gone on automotive experts have continuously been seeking to enhance the stopping capabilities for cars. Statistics show faulty brakes are rarely the reason for rear end collisions. Instead, poor breaking on the part of the driver is more often the cause. Today science has invented technology for the both the distracted driver and the driver who is wrongly “cut off”: Automatic Braking. Automatic braking consists of a series of sensors located within the car to detect “imminent threats” and apply braking maneuvers to avoid accidents. Speed, direction, and distance between you and other objects are all taken into account. There are currently two types: collision avoidance and collision mitigation. Collision avoidance is just what it sounds like. Brakes are applied by the computer within the car without the driver knowing. Critics of this system suggest that the chance of signals being misinterpreted by the sensors is high when the system uses radar or laser technology. Proponents of this technology argue it is better to have the system on board then not. Even if the signals are misinterpreted from time to time, it is better to have the system than not, especially when the signals are correct. In the case of collision mitigation, warnings are given to the driver in signal or voice form. The system calculates a safety distance and engages if the driver doesn’t take appropriate action. Critics argue that the lack of engagement from the computer can be all it takes to cause an accident. Proponents argue that with collision mitigation even misinterpretation of signals by the system don’t matter because the driver is in control and brakes are only applied automatically in extreme situations. A recent survey suggested that automatic braking could prevent one in four low-speed crashes. Obviously the higher speed you are going, your chances for a crash increase significantly regardless of whether you have automatic braking equipment or not. Yet, these braking systems are expected to reduce fatalities and decrease risk of serious injuries. It’s too early to tell, but recent estimates indicate a potential of 1.9 Million crashes avoided per year and prevent one out of three fatalities. For helpful advice on automatic braking technology and new or used cars in the Olympia WA area, turn to the experts at the Olympia Auto Mall. Visit our showrooms and ask our knowledgeable staff about the new features coming with the 2015 models.